Universal Audio has long had a successful business selling hardware DSP effects, many of them carefully-modeling classic analog gear. These products use dedicated DSP hardware for number-crunching, requiring that you connect an extra box to your computer. 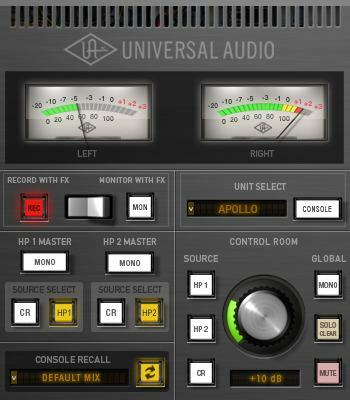 UA has certainly had their loyalists, and for fans of the products, the dedicated gear is simply a convenient way to get all of these sound-processing goodies. But it’s fair to ask the question, as many producers have who read this site, what’s the advantage? Why not simply use native processing on your computer? Apollo, UA’s new hardware, answers that question more emphatically. By integrating the processing prowess of the UA platform into a high-quality audio interface, you can now add UA effects live, as you record and mix, with extreme low latencies. UA reports latencies below a couple of milliseconds. That’s possible, theoretically, on a desktop computer, but not generally on a laptop and very often not with any real reliability. You can do it in a lab, but it’s not something typical users see. So, in one box, you effectively get your whole studio: the audio interface, the DSP power, and real low-latency sound processing. It’s not the first audio interface with DSP, but it might be the most compelling case yet for why that combination make sense. And here’s where things get interesting: via Thunderbolt, a single MacBook Air, costing just around $1000, could be your whole studio machine. And while Apollo runs a couple grand above that, that means the total price tag is stunningly low compared to what you’d pay just a short time ago. All of this is academic until you actually have something to do with sound. So, UA is also expanding their developer platform to additional outside development; more on that soon. Apollo isn’t for everyone; obviously, some people won’t like being tied to hardware, and native plug-ins do work for a lot of people. But it does solve problems for many potential producer customers by making something reliable, predictable, low-latency, extensible with lots of excellent processing tools, and all in one single-box solution. Apollo will initially be Mac-only, but will come to Windows, too – and with more PCs supporting Thunderbolt in 2012, that means the MacBook is far from your only choice. 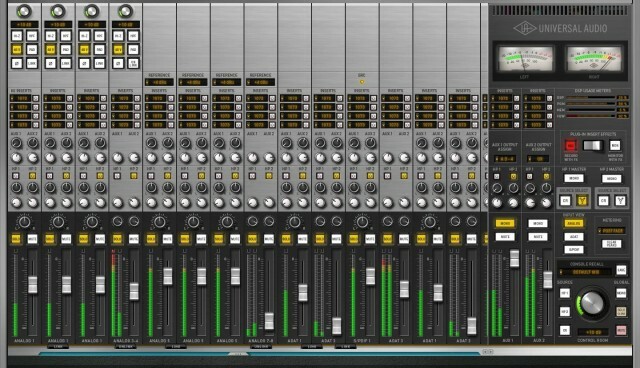 So, you’ve got one add-on that’s your interface, your pres, and your mix/master/effect toolbox. Dedicated front-panel controls: preamp gain, channel selection, mic pad, +48V phantom power, low cut, monitor level, and dual headphone controls. 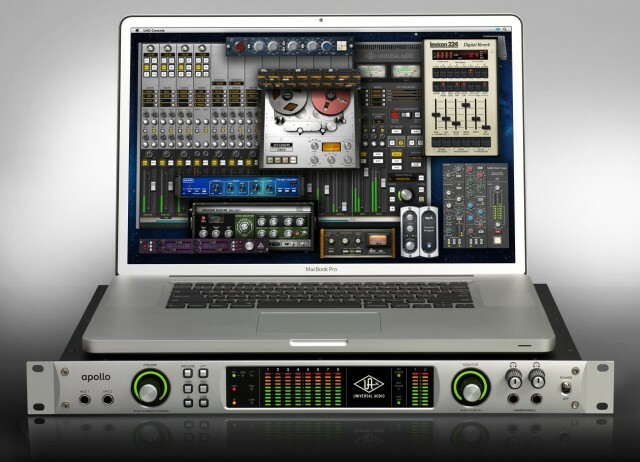 4 digitally-controlled analog mic preamps, 8 balanced line inputs and outputs, dual front-panel JFET DIs, digitally-controlled analog monitor outputs, 8 channels of ADAT, 2 channels of S/PDIF, word clock I/O, FireWire 800 (standard), and a Thunderbolt expansion bay — making it a well-equipped centerpiece for the modern project studio. Analog emulation plug-ins from Ampex, Lexicon, Manley, Neve, Roland, SSL, Studer, etc. Thunderbolt will be available on a sold-separately Option Card; UA says it reduces latency and audio buffer sizes, improves high sample-rate performance, and allows greater UAD plug-in instances over FireWire. Of course, because Thunderbolt also connects to FireWire devices, you don’t lose your FireWire investment. The only bad news is that you only get Thunderbolt here as an Option Card; I imagine we’ll eventually see UA ship Thunderbolt connections standard. There are both two-core and four-core versions, powered by Analog Devices SHARC processors, running an estimated street of US$1999 and $2499, respectively. Apollo’s Thunderbolt Option Card will be shipping in the first half of 2012, with pricing TBD. Windows 7 summer; 10.6 and 10.7 Mac OS X when it ships.